Sticky sweet, tangy tart, flaky and oh-so fluffy. 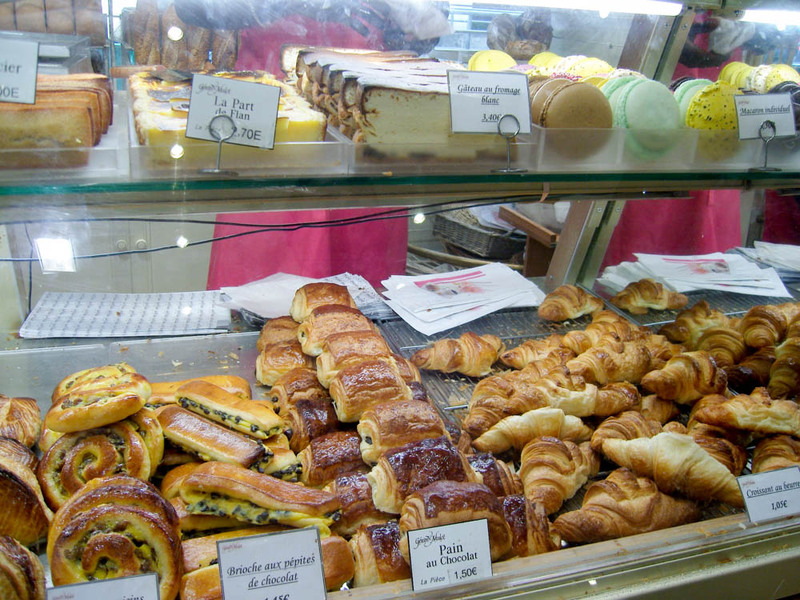 Any way you slice it, pastry is probably the best thing about Paris. For centuries this city has been baking up some best pastry in the world, and today there's practically a shop on every corner. Since there's no way to try them all and still fit into that vintage couture, you should probably only sample the crème de la crème—the most famous, and most delectable Paris has to offer. 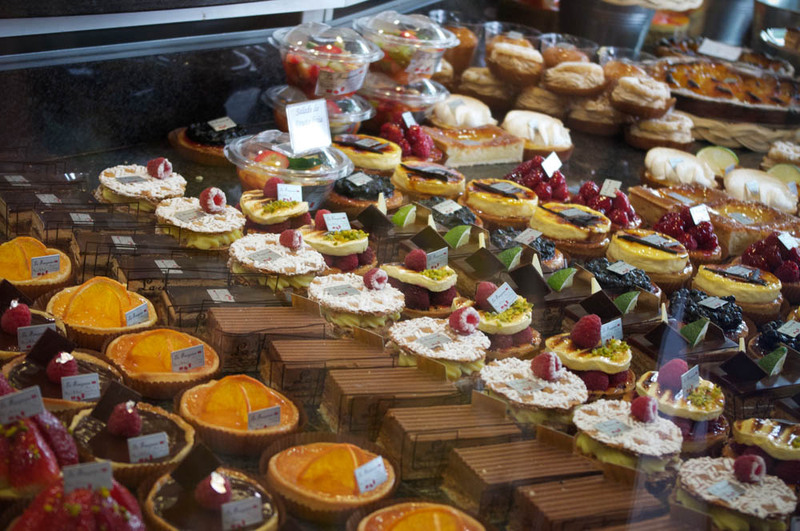 Here's our guide to the 10 best pastry shops in Paris to get your sugar high. 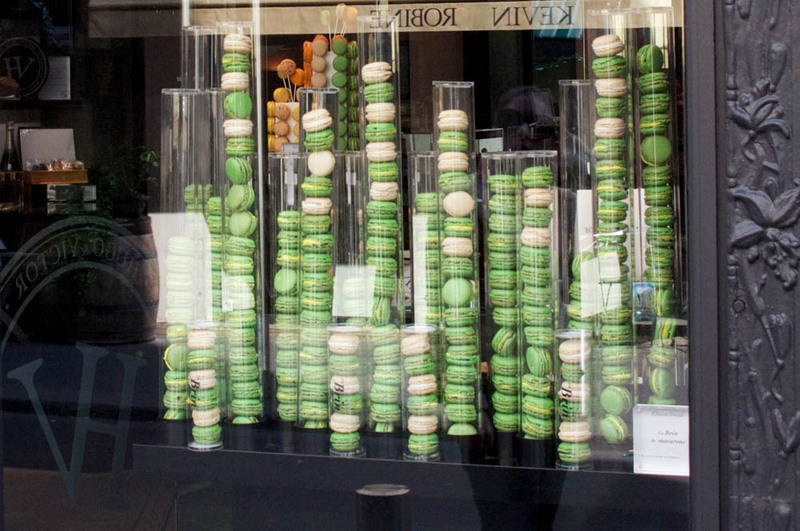 Ladurée is possibly the most well known pastry shop in all of Paris. It's classic mint green facade and pastel colored sweets are displayed like jewelry, so it's also easily the prettiest. 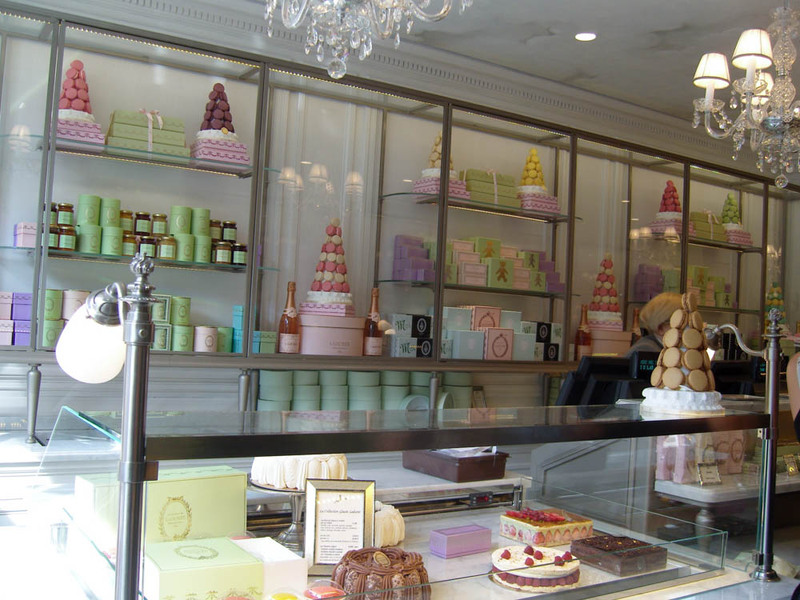 Ladurée can be found in the most high profile streets like Champs Elysées, and in some of the most prestigious department stores such as Printemps. Although everything is delightful, by far the most sought after treats are the brightly colored macarons that come packaged in boxes that are just as beautiful. Each season Ladurée experiments with new flavors to tempt your taste buds so you can return time and time again without exhausting your palette. What to get? 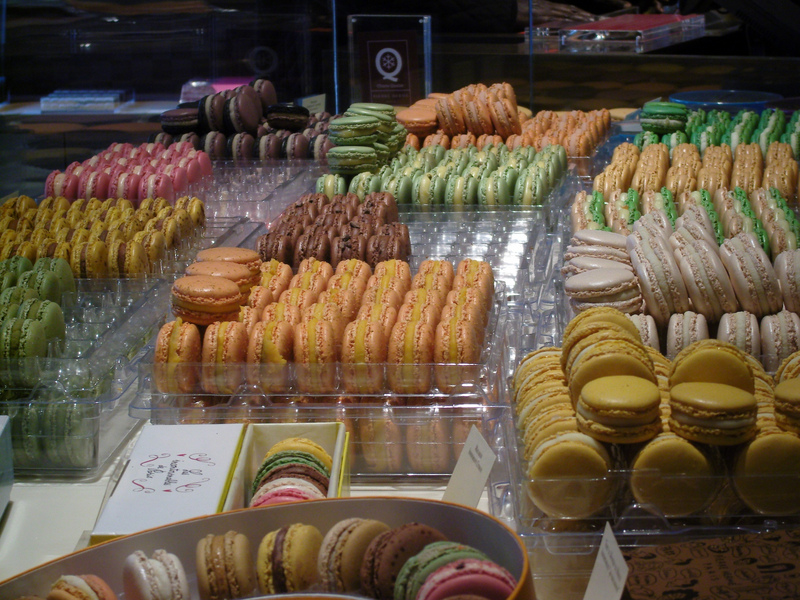 The macarons, all lined up every flavor combination possible. We're partial to the lemon, but you can't really make a bad choice here. This local shop in the 3rd is a casual neighborhood joint that isn't as flashy as some of the other high-end pastry shops, but turns out some of the most delicious pastries and breads in the city. You know this place is authentically good due to the long lines that form with not a tourist in sight. We highly recommend the tarte tropézienne (a French pastry cream between thin layers of puff pastry) which are some of the best we've sampled in the city. The case is also wide and flat giving you the opportunity to inspect the tiny works of art before you purchase—which is helpful if you're not sure of the French names. What to get? The tarte tropézienne is creamey, sweet, and delicious. 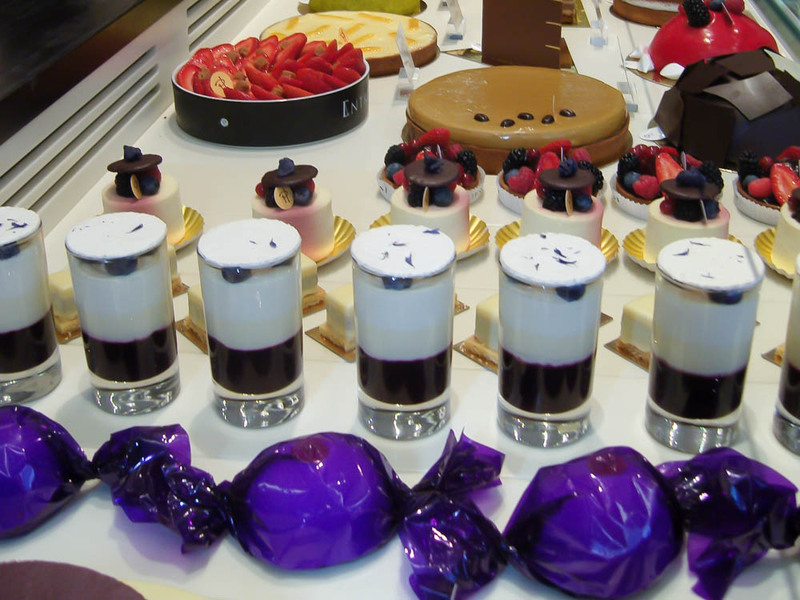 Pierre Hermé, a former pastry chef at Fauchon (also on our list), has been a household name in Paris since he opened his first shop in 2001. ​Many people don't know that Hermé tested his entrepreneurial skills in the Tokyo market before coming back to his home turf in Paris to dominate the scene. Hermé is the undisputed master of macarons, and is famous for introducing complex flavors that you won't see on the menu of any of his competitors. Today his is a name synonymous with fine chocolate, cakes and delicate pastries, and his brand of innovative macaron flavors that changed up seasonally. This is one place you don't want to miss for a truly authentic taste of Paris. What to get? The macarons are top notch, but the best pastry lies in the bread section. The croissant ispahan—a rose and raspberry flavored, marzipan stuffed croissant that's glazed with lychee and and raspberries is a local favorite. Gerard Mulot has a passion for transforming the mundane into masterpieces, but his obsession with perfecting his breads and pastries doesn't seem to be much of a challenge for this master chef. The fruit tarts here are world renowned for not only their superior taste but also the amazing detail, indeed Mulot has the skill to elevate a tart from a mere dessert to delicious work of art. The breads and cakes are also lovely and it's not unheard of for locals to travel across the city to score either. What to get? Pretty much everything is good here, but Mulot makes the best tartes in Paris. This shop of glorious deliciousness has been around since the 1600's when it was known for catering to the Royal court of Versailles. Today they're still known for quality pastries, and probably most famous for their Opera cakes which consist of thin slices of almond sponge cake soaked in coffee, layered with ganache, coffee flavored buttercream frosting and topped with chocolate glaze. Although the desserts are to die for, the breakfast spread in their sophisticated tea room is also a delightful way to spend the morning—just leave room for cake. What to get? The Opera Cake! 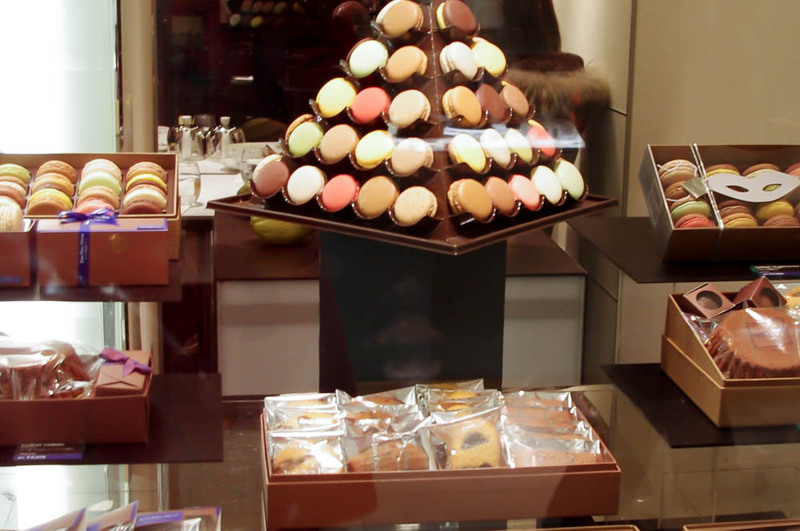 The birthplace of the complex pastry, this place still makes the best Opera cake in Paris. 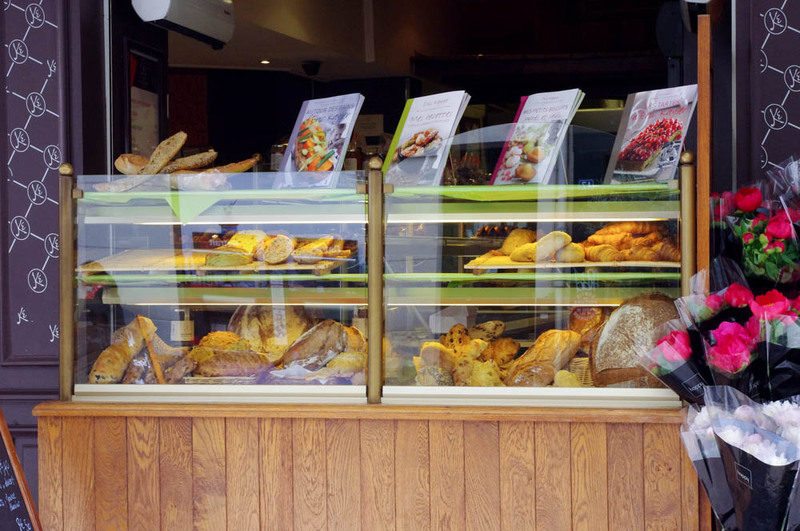 This local neighborhood bakery is a favorite in the 20th for their buttery croissants and crispy baguettes. The almond croissant was one of the best we've tried in the city, and the relaxed casual setting made it the perfect place to stop for a quick, on-the-go breakfast treat. What to get? The croissant amande, an croissant with marzipan filling and topping. A mixed blessing because you'll crave them for the rest of your life. This 'haute' pastry boutique is so slick and fashion forward you almost can't tell if it's pastry shop or jewelry store you're walking into. Yes, posh is the name of the game here, but it isn't all flash and no substance. Cakes and chocolates get a modern spin with citrus flavors like combawa or litchi which are introduced only when they're in season. Hugo & Victor is a conceptual pastry shop looking to fuse both traditional techniques and contemporary methods to create beautiful and sinfully delicious sweets. What to get? The Saint-Honoré Praline is the Hugo & Victor take on the traditional French pastry. Their updated (and beautiful) version is layered puff-pastry with, choux-paste fille with hazlenut cream and dusted with fresh hazlenuts. Well known for having the best breads in Paris—some even say the world—Eric Kayser is easily our top pick for fresh baguettes. One of the qualities that makes Kayser so special is the use of liquid levain in all of his breads. He is also partially credited with the invention of fermento levain, a piece of machinery that would change the face of the bread world, so it's clear this man knows his bread inside and out. Although bread is the specialty here Kayser has a number of pastries on offer as well, all made with the same skill and attention to detail. What to get? This place serves up Paris' best croissant. 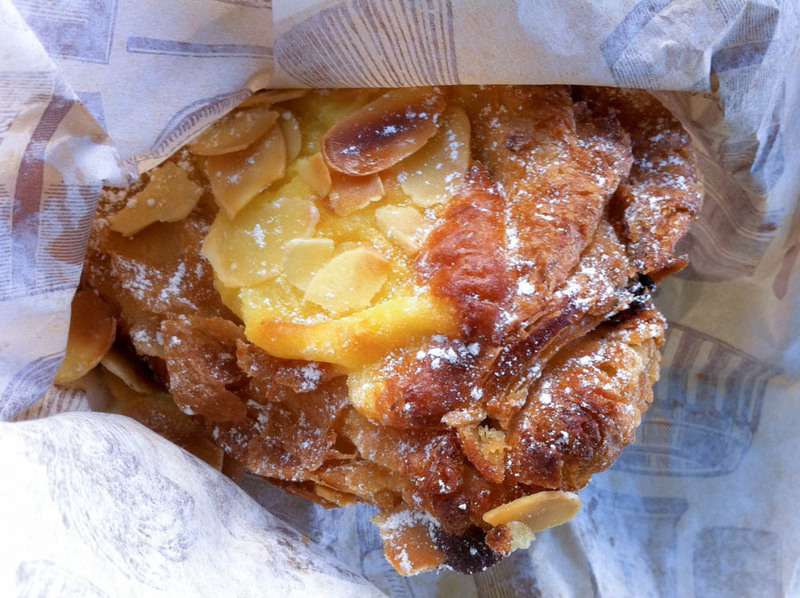 Go for the original, or the croissant amandes, which is filled with marzipan and covered in sliced almonds. Yum! The classic black and fuchsia pink packaging at Fauchon sets the stage for their well known luxury line of sweet and savory delicacies. But this isn't just a shop, it's a lifestyle, and although others might technically make a better pastry, this is still one of our favorite places to come and indulge. The millefeuille is our favorite thing on the pastry menu, but just about everything is fantastic. What to get? Though choice! 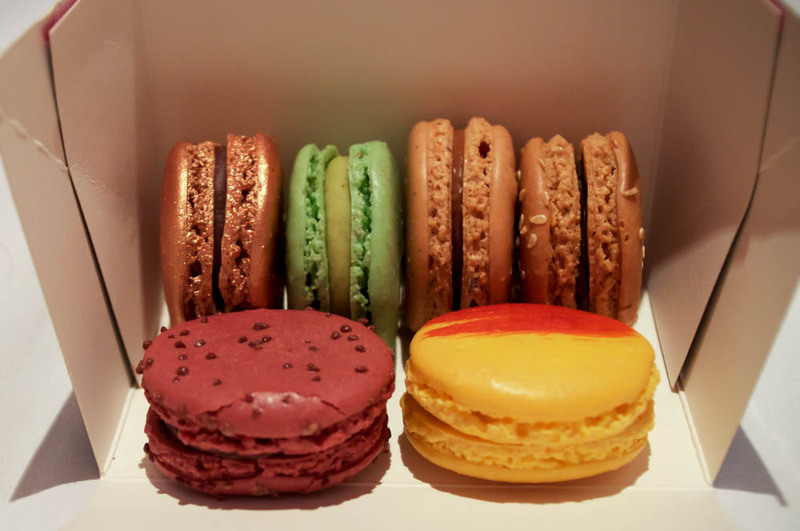 The millefieulle is the by far the best thing, but you can't leave without getting a macaron from the people that invented them. Both perhaps? Last, but certainly not least by any stretch of the imagination, is Jean-Paul Hevin. His well earned reputation was earned as a chocolatier at Tokyo's renowned Peltier, before moving back to his native Paris and starting this chocolate lover's dream. This place is quite possibly the best chocolate shop in Paris, so naturally the chocolates are the way to go. Not a chocolate fan? 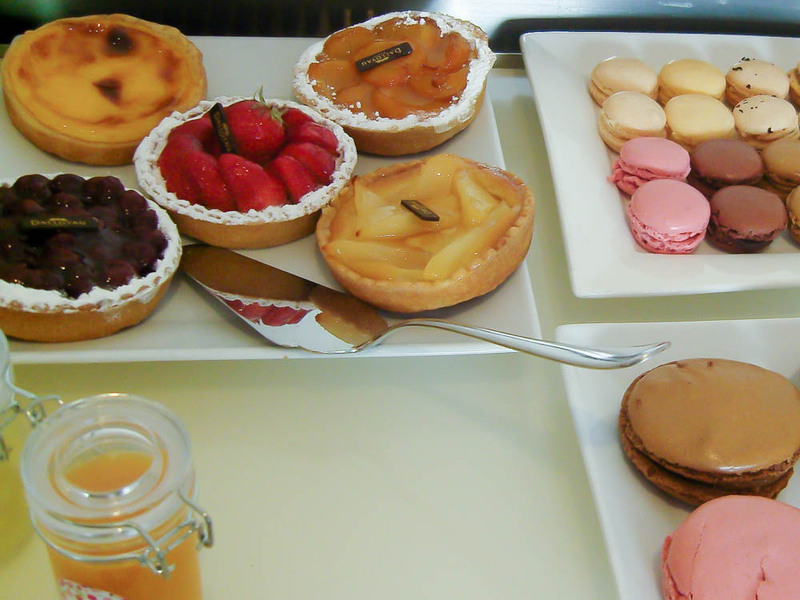 You can find a number of tempting sweets including their cakes, and tarts. What to get? The Guayaquil is ridiculously a ridiculously delicious, and quite possibly the best cake in Paris. Layers of chocolate cake, biscuit, almond creme, and ganache.